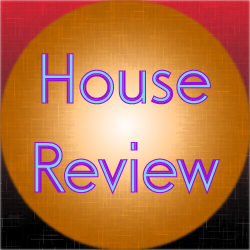 This review covers the electro house track Shermanology – The Only Way. This track was released in 2013. The track starts off pretty good. The way the notes and vocals built up at the beginning really gave this track a lot of promise. The lyrics were nicely done at the beginning as well. Then, there is a build-up which had me thinking, “OK, this better be good.” Unfortunately, what followed was a really boring chord and drum kick layered with a very basic bassline. The effects thrown in is an OK effort to keep things interesting, but it just doesn’t make the portion of this track that interesting. It pretty much killed all the good vibes in the track. After this, the vocals do return. There is some elements added that makes it sound pretty good. Unfortunately, that is followed up by another build-up and boring session of kick and chord. There was an effect added to this portion, but it doesn’t make this part a whole lot better. At this stage, the only thing left is the final breakdown which is a mild improvement. At the end of the day, this track shows how both pretty good elements and horrible elements can exist in the same track. The vocal portions had me excited and the tech portions ended up killing all those positive vibes the track was building up. Because of this, I can only say this track is quite mediocre.